If you are looking for a warm climate during the winter season, clean beaches with blue waters, water sports, fun activities, and splendid food then Miami is just a picture perfect location for you. Travelers who are looking for elegant and adventurous holidays in the midst of stunning nature they come to Miami from all across the world. Apply now and get your U.S. online travel permit – ESTA by email! Miami Beach is one of the most happening beaches in the city, and it is filled with a plethora of tourist’s attractions that can make your holidays special. This stunning beach is situated in south Florida but is connected with Miami with bridges. Here you can enjoy the company of freely living monkeys at monkey jungle which is over 30 acres of area. It opens from 9.30 pm and shuts down at 5 pm every day. Miami’s children museum is one of the best places to visit with kids in Miami Beach. Parrot Jungle is a marvelous place to learn about exotic animals and birds. Trampoline zone, rope course, outdoor skydiving simulator are new attractions of a jungle that fascinates the visitors. South Beach is a part of Miami Beach and is one of the trendiest locations of Miami. Whether you want to enjoy the hot clubs and sugar sand beaches or go shopping south beach is good for all the activities you can dream of. Ancient Spanish Monastery is an outstanding architectural piece from the 12th century that can take you back in time. You can visit this monastery between 10 am to 4.30 pm with an entry fee of 10 dollars for adults and 6 dollars for kids. Since many tourists are bent on visiting Miami with their children and family members of all ages, they really find it to be very interesting when they visit Miami beaches. Surfside is a beachside town with a small population. The Surfside each is a perfect destination for those who are looking out for an isolated and calm beach, unlike Miami Beach. Cleanliness, scenic beauty, clear water, beautiful sand, tranquillity make the Surfside beach heaven for those who love the quietness and want to stay away from the hustle bustle of the city during holidays. If you love beachside sunset and sunrise, then the Surfside beach is the right place to be at. Wake up little early and take a wall with the rising sun on the Surfside beach and you won’t forget the astounding experience in your lifetime. Biking and walking path is ideal for those who want to run or just take a bike ride on the beach side. You will find some luxury hotels, restaurants, and even places to shop near the beach. You can pre-book your Miami Beach and hotel packages before you check in the beachside as a venue. Long back the beach was used as a coconut plantation, and it was, in fact, the largest coconut plantation in the county until 1940. But then the family that owned the plantation donated a part of its land for Public Park, and that’s how the park took shape. Today, you can find a golf course, natures center, tennis center, picnic areas with grills, stand up paddle boats, squad bikes kayaks, beach cabanas and what not only at Crandon Park beach. Whether you just want to relax in the midst of nature or get familiar with some wildlife, or party like an animal, play your favorite game or enjoy water sports, you’ll get all you want at one place. It is important to check out the Miami beaches and the associated climate before you go and start enjoying your holiday packages there. 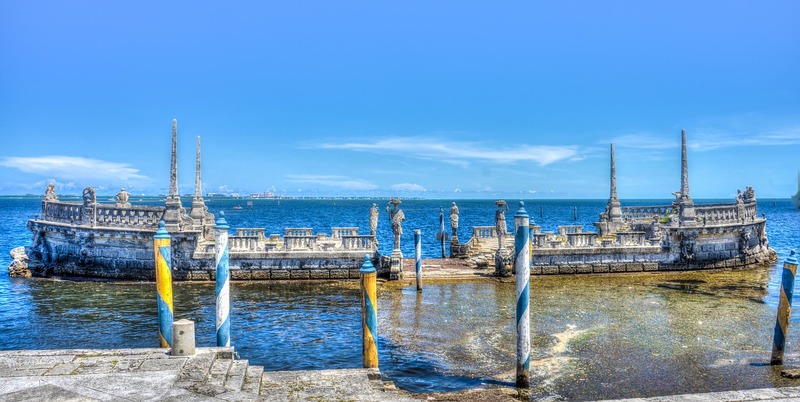 This park is surrounded by beaches that our favorite local and tourist spots, in fact, some of the parks are in the top 10 lists of the country as well. There are many other attractions for the tourists as well like Lighthouse that was built in 1825 is one of the oldest structures that can take you back in history. You can also enjoy windsurfing, cycling, inline skating, fishing, kayaking, camping, picnics at Bill bags cape Florida state park. This park is the finest one that tourists can avail except during the major national holidays. 21st 45th street beach is also easy to reach than other beaches in the county. The beach is a popular location for water sports lover and adventure seekers. You can visit Miami in between the months from March to May to enjoy the sunshine at the cool beaches. The weather at this time is warm, and sometimes you can face unexpected showers, but there’s nothing that might cause you any kind of trouble. Whether you want to go for an outing with family, chill with friends or enjoy at a romantic destination with your partner beaches in Miami will give what you want in a much better way. Packing your bags to visit the beaches have never been this easy. You can connect with high quality and professional tour operators who can give you the ultimate thrill of spending your holiday in a lovely destination like Miami.